When you drag a time item outside of the screen – in the time direction – you auto scroll in time. But when dragging the time item out of screen to the top or bottom we should auto scroll rows. 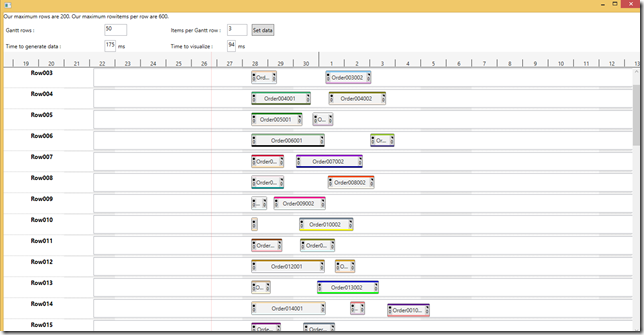 This needs a new event since we are not really sure exactly how the Gantt Rows are grouped to form a Gantt chart – you can use any control like a DataGrid or a ListView to group the rows. 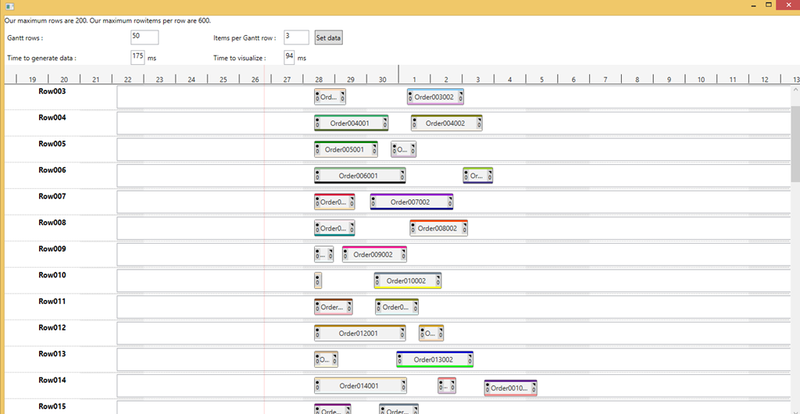 In this particular case the Gantt is held in a ItemsControl that has a scrollviewer that has the name of _ScrollViewer. So the new Event OnConsiderRowAutoScroll is called whenever the TimeItem is dragged of the GanttRow. Then we need to check if the TimeItem should initiate an AutoScroll – and if it does we need to scroll and set the flag e.ScrollDoneReMeassure=true – this way the Gantt knows that the worlds has changed.